Cooking is an experience that I have enjoyed since my childhood days back in India. India is a country that is not only rich in culture but also well known for its rich cuisine, delightful aromas, and flavors. Growing up in Mumbai, I was always surrounded by good, rich food being cooked at my parents’ and in-laws’ homes. We used to eat a lot of dishes made according to family recipes. When we decided to move to the United States, I knew I would miss the food that we enjoyed in India. This led me to compiling a book of recipes containing all the favorite dishes my family and I enjoyed together. Later, my husband and children encouraged me to turn it into a cookbook. What started as a guide for making Indian food became a cookbook of love. 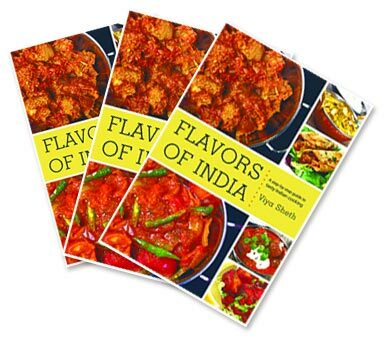 All ingredients mentioned in the book are available at Indian grocery stores. I enjoyed putting this book together, as it brought back fond memories. I would like to thank my husband, Sameer, and children, Shikha and Rahul, for being my inspiration behind this book. I would also like to thank my parents and in-laws for their guidance and encouragement. My family and I have enjoyed the experience of making these dishes, and I’m sure you all, too, will enjoy the experience. 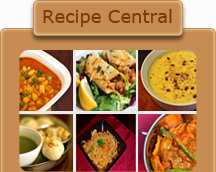 To make it easier, I have compiled a detailed glossary of the Indian terms used in these recipes. Happy cooking! Check out and Buy the book at Amazon.com & Barnes & Noble.com.